Having loved the Levitunturi on both our previous trips to Lapland we didn’t even think about going elsewhere and promptly booked it again. A 4 star hotel, it has all mod cons you would expect topped with a great location. 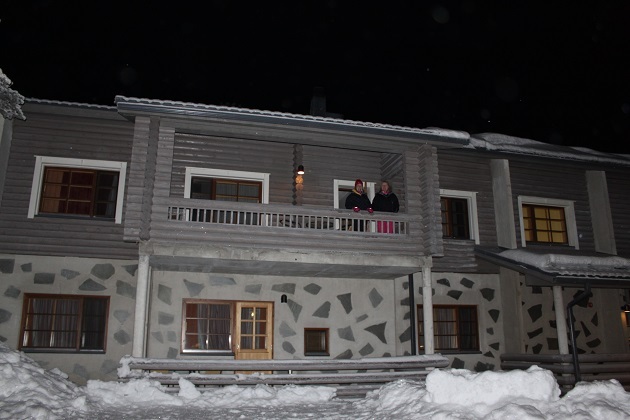 Right at the foot of the downhill ski area and not far from the heart of the little town of Levi, everywhere is within easy walking distance. Add to that peaceful, comfortable and super cozy and this place has pretty much everything you could want or need in this icy paradise. An early morning flight meant we arrived at lunchtime and although check-in was after 4pm our room was ready and we were able to go straight there and get sorted and go straight out. 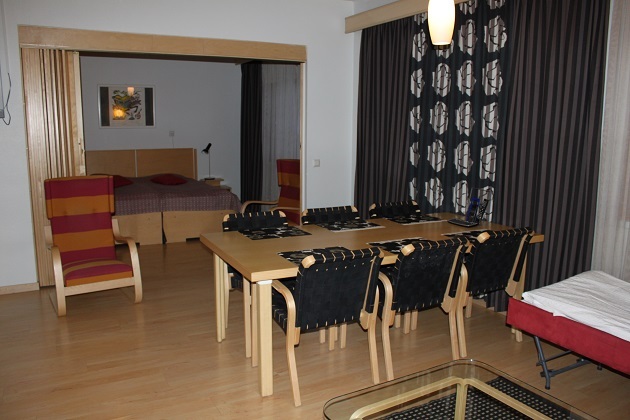 Previously we had opted for a little more luxury and booked a family suite, this time we went down that same route. 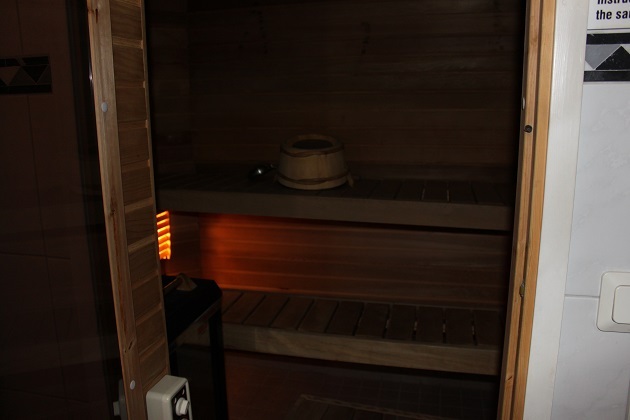 There are several available at the hotel, we just loved it not least for the vast amount of extra space involved. We had a huge living/kitchen area with plenty of comfy seating and a fridge and microwave – handy for extra snacks for picky kids. There was a dining table to seat six people and best of all, a fireplace complete with a pile of freshly chopped logs. Curling up in front of a blazing fire after a busy day in the snow was an evening treat we relished all through our stay. The bedroom was also spacious with the most comfy bed ever. Maybe it was that, maybe it was the long dark days or maybe it was all that exercise and time in the snow but we all slept like proverbial logs while we were here. The bathroom had a sauna just off it, Husband was a big fan of this and I was a big fan of the large boot room at the entrance to the suite. A full sized drying cabinet was not something I’d encountered before but I can’t tell you how useful that was and how much it was used pretty much every time we came and went. 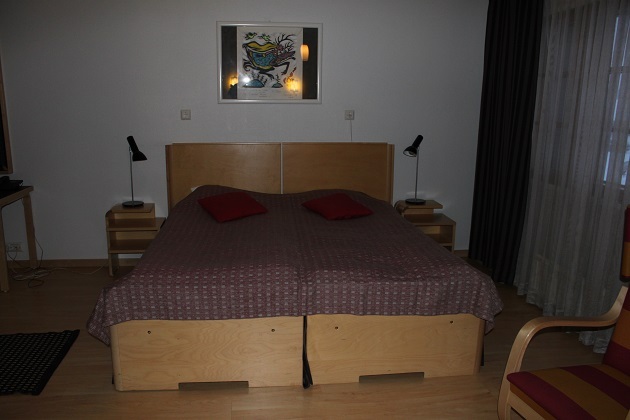 The décor of the room was tasteful and minimalist in that gorgeous Nordic way. Our balcony was not somewhere we hung out too much – brrrr – but the handy thermometer out there let you know how far down the scale the temperature was each day. We stayed on a half-board basis. The food was serve yourself buffet style, nothing fancy but just simple, hearty fare and plenty of it. Browsing through TripAdvisor I saw some less than positive reviews about the food here. We had no such issues. Reindeer featured often on the menu, there was a distinct lack of vegetables – Son did not mind that one little bit, but I thought the abundance of soups, stews, casseroles and dishes of that ilk were perfect and fitted exactly my idea of a good meal in Lapland. Alcohol was super expensive in the hotel, just like everywhere else in Finland but we drank the complimentary juices with our meals and didn’t feel hard done by. There was a pool, steam room and spa but we just didn’t seem to have either the time or the inclination to make use of any of these. I have read that since our stay they have added a water park – maybe if we go back we’ll try it out. Son was a big fan of the children’s activity area, free for residents of the hotel we did try that out – a lot. A couple of bouncy castles, ball pit, big climbing play area and loads of bikes and other toys, we seemed to be there most evenings before dinner. 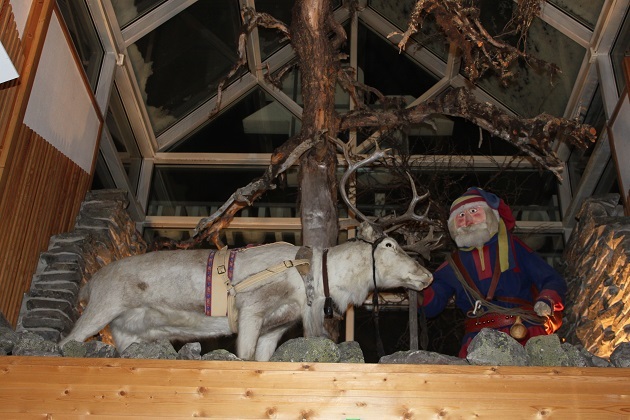 The last night of our holiday was the Christmas party – run by the tour operator and held in a restaurant/bar at the bottom of the ski slopes, there was food, party games for the children and an appearance from Santa. 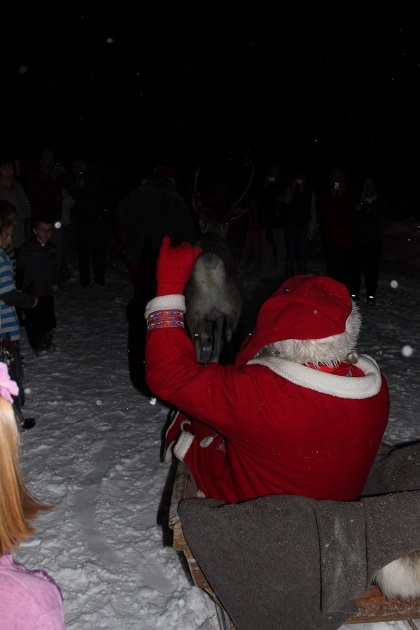 The great man arrived in his sleigh complete with reindeer – needless to say that was a big hit. Our third stay at the Levitunturi did not disappoint. We all still loved this quiet, spotless and comfortable hotel. It would be my first choice again if we make it back to Levi. The best way to warm up!! It’s a great place to stay especially with kids. Your grandchildren would love it! Looks like a wonderful and fun memory! Thank you for sharing! Thank you for reading and commenting!! It was a lovely place, we do have some great memories of staying there. 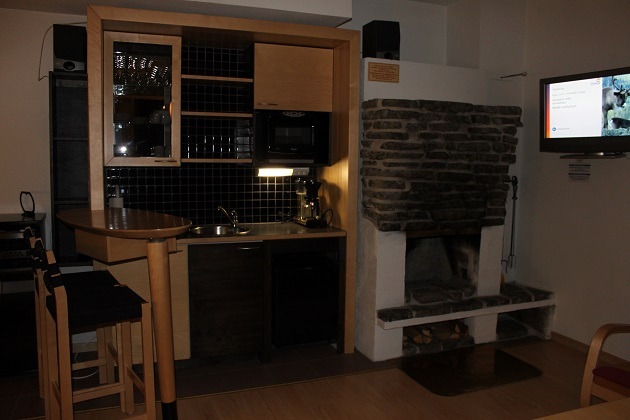 It is just the most cozy and lovely hotel Rosemary, that log fire I just loved for sure. My son is now on the countdown to Christmas, school finishes next Thursday and he can’t wait. I can though, time slow down, the weeks just flash past far too quickly. Hope your weekend is a good one too! I would love time to slow down a bit too Joy – the weeks are going past much too quickly as you say! Our daughter arrives from London on Thursday so this is one week I don’t mind the time passing quickly – we’re counting the days! Have our elder granddaughter’s little Christmas performance tomorrow morning at her daycare (she’s 3 at the end of next month) so looking forward to that! I will bookmark the hotel for future reference – it looks gorgeous! That sounds like a great week Rosemary – those first Christmas performances are so special and magical. Hope your daughter has a safe and good journey, I’m sure you are so excited, I know how we feel when our son comes back from a school trip of a few days, can’t imagine how you must be feeling waiting for Thursday!! It’s a bit surreal Joy – I’m on countdown till Thursday! Am excited for tomorrow too – seems like only yesterday that our elder daughter was singing “I’m a little angel short and sweet” (or something like that!) to the tune of “I’m a little teapot” at her kindy concert!! Now she has 2 daughters of her own! I love your post! Holy joy that was really cold but the suite is a dream!!! So cold Erika, like I’ve never felt before or since – however warming up in that gorgeous room and relaxing by that log fire soon sorted us out!! The effect must have been amazing! That’s the only thing really expensive.. alcohol. I found the food cheap in Sweden (I mean not more expensive than the uk) but even the beer was ridiculously expensive. I agree, I thought food was a similar price too but ridiculous for anything vaguely alcoholic! These posts are making us all crazy for winter! Vancouver is warm and wet these days and my little ones are crying the blues for snow. 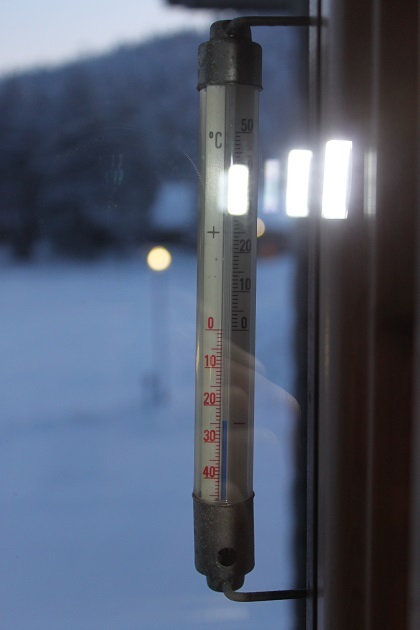 Your thermometer shot was the best – that’s what we would love to experience! (Having a crackling fire to curl up with makes it seem so civilized!) From here it’s a short trip (half an hour or so) into the mountains for snow, but we haven’t made the time. If we keep reading these Scandinavian stories we will have to get motivated and go for the snow! Thank you for sharing your inspiration and enthusiasm – it is contagious. Oh you’ll have to go to the snow….. we are so jealous, wet and warm here too at the moment but no chance of snow at all!! Holy COW IT WAS COLD! I’m really glad the thermometer had both Celsius, and Fahrenheit so I was able to understand how very cold it was. I’m sure I wouldn’t have had warm enough clothes, or coat for that. Son’s jeans didn’t look warm enough to me. “) I don’t have warm enough clothes, coats, or gloves now in Northern CA! “) It’s sounds like a lovely place to stay though. I’m booking-marking this just in case I ever get there. That was actually one of the “warmer” days – brrrr!!! We got kitted out before we went and provided you have all the layers on it is not so bad or maybe you just get used to it!! Jeans are definitely the worst thing to have, however he wore these only for the quick 2 minute scoot from our room to the restaurant, you couldn’t manage with them for longer than that even though he had heavy duty thermals underneath. It is the perfect winter holiday though, I definitely recommend it. I’m such a wimp I wear sky pants with long underwear to go to Yosemite on 40 degree days! 🙂 Mulled wine by that fireplace sounds quite nice. And drink some mulled wine as well George – that always helps warm up the chill…. Thank you – best wishes to you too over this festive season. Great post! I am glad you liked it at Levi. A couple of years back I had such a great winter holiday up there. 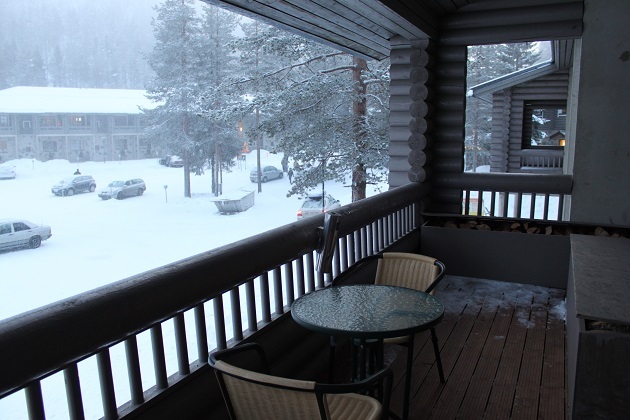 Levi is a great place for all sorts of outdoor winter activities in the snow. The downside is cold temperatures and lack of daylight in winter. And expensive prices like you mentioned. The little village itself is very pretty especially now with all the Christmas lights on. Makes me want to visit again this winter! We want to visit again too…. just looking at the pictures and remembering what a wonderful time we spent there is fun but we definitely want to return some time. I’d like to visit Scandanavia sometime but I’m not sure winter would be my first pick. It might be too cold and dark for me that far north! 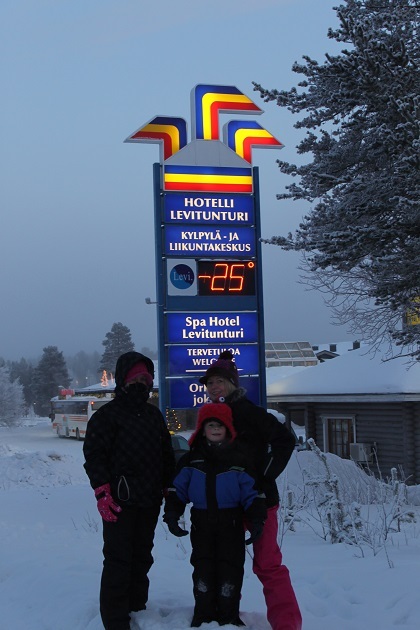 I’ve enjoyed all the Lapland posts, however, not knowing a thing about the area before reading your blog. It’s such a special place and just before Christmas becomes utterly magical. That said it is so cold, colder than anywhere else I’ve ever been so you have to be prepared for that. The dark though, we didn’t find that bad at all – all the snow somehow means it is never pitch black. Happy holidays to you to Melissa! If you don’t like it cold then this would be the ultimate challenge!! 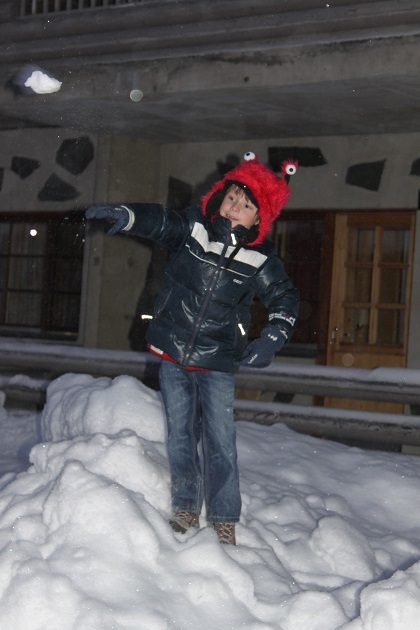 Although if you get layered up with the right clothing you can have so much fun here. 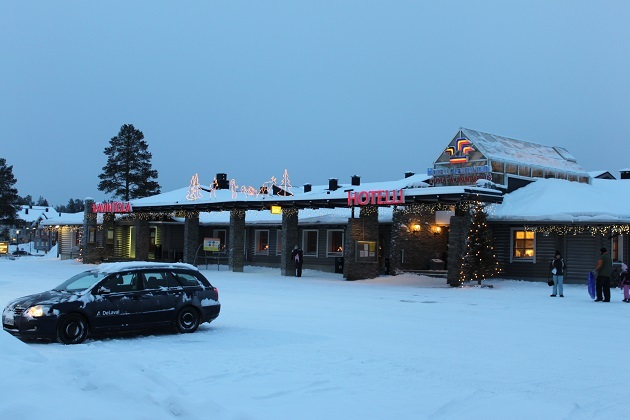 Lapland looks like a winter wonderland and brrrr….I need hot chocolate as I peruse your photos! Always enjoy your travels, Joy! Merry Christmas! It is the coldest place I have ever visited Pam – many hot chocolates are required all through the day. It is probably also the most magical too though, definitely worth all the shivering. Merry Christmas to you too, I hope it is filled with festive fun and joy. We loved the story and photos of your trip from the warmth of our RV. Thanks for a Great Post! As a side note we’ve been running away from the cold since the beginning of our travels. I’ve enjoyed your posts with the blue skies and gorgeous scenery – don’t blame you one bit for escaping the cold. This was a wonderful experience but if you can chase the sunshine then I think that’s great!! Thank you Kamila – a very merry Christmas to you too. You are hardy souls! This is a very nice review, with wonderful personal photos. I enjoyed reading it! Thank you – we’re not really that hardy, just well wrapped up in heavy duty thermals. 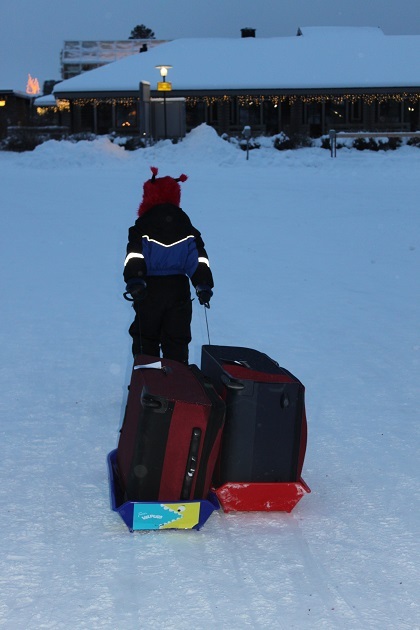 It was such an exciting experience we didn’t really notice the cold though! !